Hi Naomi here (with Tanya)! Welcome to week three of Our Little Linky. And with everyone well and truly into the new school run routine it’s time to squeeze in a bit of ‘me’ time (or me, thee and you three time for some of you!). 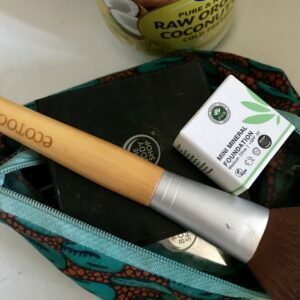 I’ll be taking some mum-me time and linking up with my chemical free make-up review. Breaking down the term ‘chemical free’ which can be quite confusing. Hopefully my review will shed some light on where to go for alternatives to all your staple favourites. Thanks, Naomi. I’ll be showcasing one of my transitional Autumn looks. 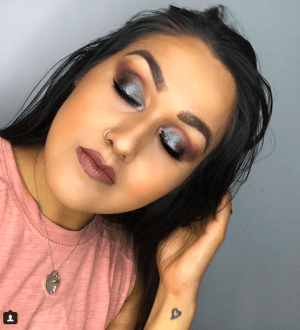 It can be hard, but introducing darker colours into your makeup routine is a great start to slowly moving away from the softer shades of summer. Not feeling very brave? Then simply try out a darker lip and ease yourself in from there. 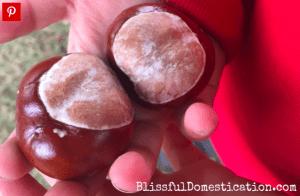 My featured article this week is ‘8 Awesome Outdoor Autumn Activities To Do With Kids’by Blissful Domestication. My daughter and I are already half way through completing the list! 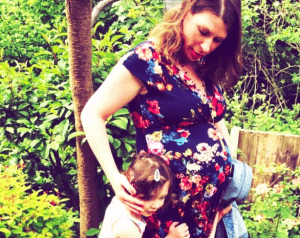 A big, huge thank you to everyone that’s linked up to ‘Our Little Linky’ so far. We’ve really enjoyed reading everyones articles and can’t wait to see what you link up with this week. Have a good’en and we’ll catch you on the flip side! Next Post Urban Art: The Cheryl Co. Absolutely love that eye shadow! All of these articles look great! Loving the make up theme, I’m motivated to change up my bag like immediately! Oh my gosh the same! I don’t know if it’s the change of seasons or what, but I definitely want a revamp! Somethings are timeless! Thanks for linking up.